Whether you are a competitive athlete, someone who exercises regularly to stay in shape or a couch potato, you will most likely have to deal with an injury that interrupts your routine at some point in life. Injury refers to the loss of function of a body part, such as a muscle strain, ligament sprain, tendonitis, or more serious issues like a fracture or ligament tear. A lack of muscle strength, inflexibility, or imbalance can predispose you to injury. Injuries also occur as a result of overuse. The best ways to reduce the likelihood of injury are to stay fit, choose your activities wisely, utilize proper form, and participate in adequate warm-up, stretching, and cool-down sessions. As our population ages, we see many more orthopedic injuries. Meniscus (cartilage between the upper and lower leg) repairs are becoming more common. Obesity can also cause injuries. The stress to joints resulting from being overweight can cause hip pain, knee and ankle injuries. Injury can also be caused by poor posture while driving and computer work which increases the possibility of neck and shoulder injuries. When an injury occurs, take action early. Ignoring pain often leads to injuries that are even more severe. The fastest way to return to normal activity is to give your body the time it needs to rebuild its strength and conditioning. Too often the tendency is to stop exercising completely once an injury occurs. Many people are unaware that fitness training and injury recovery go hand-in-hand. After any injury, you should discuss any treatments with your doctor. It is often possible to continue fitness training even while healing from an injury. In order to stay active while you are injured – work out the parts of the body that are not injured – after carefully stretching the areas those are. During the first 24 hours to 48 hours following a minor injury, use R-I-C-E – rest, ice, compression, and elevation. If the injury is to any part of your leg, you’ll need to avoid aerobics but you can still do upper body and arm strength training. To supplement strength training, gently stretch the muscles in the affected limb and perform regular stretching of the rest of your body. Do not stretch if it causes pain. To maintain muscle tone around the injury, do sets of repetitive isometric contractions (no active joint movement). Swimming and water aerobics are good options because they usually put the least amount of stress on an injury to the leg. A fitness training and injury recovery program should focus on maintaining strength while your body heals rather than building strength. Because some injuries will limit the fitness training you are able to perform, choose those that do not cause pain, but will allow you to maintain your current fitness level as your injury heals. Once your swelling begins to subside and the pain diminishes, you’ll start to regain range of motion, strength, and endurance. Go slowly as you begin active movement of the injured area. Stretching intensity can increase gradually, but it’s important to improve range of motion. Warm your muscles with heat or by aerobics before stretching and joint movement. Use ice following the routine if you have pain or swelling afterward. Gradually return to your previous level of fitness without overdoing it. Too rapid a return can lead to other problems like stress fractures and tendinitis. Start some form of exercise the day after the injury, no matter how minor the activity. Try to do a little more on each succeeding day. Begin with a 5-10 minute warm-up; then strength training with low loads and pain free motion. Add more weight slowly (add reps before you add weight) and always stretch what you strengthen. Follow the advice of your physician and seek assistance from a qualified athletic trainer, physical therapist or other professional. As you begin to heal, gradually begin to add a couple pounds of resistance to active joint movement. The goal is to do more repetitions per set (12 to 20) with less weight. Slowly increase the amount of weight, keeping the number of repetitions on the high side. Back down if pain or swelling recurs. Keeping up your endurance after an injury is often most challenging, especially for runners. For example, if you have sprained an ankle, start with quick-paced walking and light jogging for 10 to 15 minutes. Again use pain and swelling to guide you on how quickly you can increase the time and intensity of exercise that puts pressure on the ankle. If you can, ice the injured area after exercise for at least the first week or two, especially if there is any discomfort or swelling. Preventing repeat injury is an important component of your recovery. Consider using elastic brace or consult with your doctor about other devices and orthotics to provide a little extra support. Despite the injured area not causing symptoms, the tissues may not have healed completely. Returning to full activity after an injury is complicated and usually should be supervised by a professional. You may recover quickly for minor problems or it may take months to recover from a severe injury. If your injury forced you from your activity for more than a couple of weeks, expect an equal amount of time to return to your previous level. Listen to your body and let it guide you on your return. 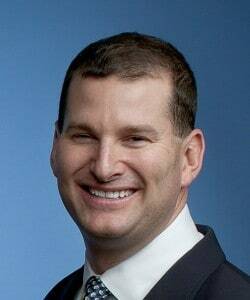 Dr. Amann is an orthopedic surgeon at Mercy Suburban hospital. An expert in arthroscopic treatment of the shoulder, elbow, hip, knee and ankle, Dr. Amann is trained in sports medicine, including injury prevention, rehabilitation, and on-field injury management. He also treats fractures, concussions and arthritic conditions. He is currently the team physician for Chestnut Hill College, Gwynned Mercy College, Montgomery County Community College and Methacton High School and is the assistant team physician for Ursinus College. He also treats many non-athletes with rotator cuff tears, tendinitis, tendon tears, arthritis, hip labral tears, shoulder instability and cartilage damage. He is an expert in cartilage restoration techniques and one of the few orthopedists in the region to perform a high volume of hip arthroscopies. Editor’s note: This article was previously published in PhillyFit.